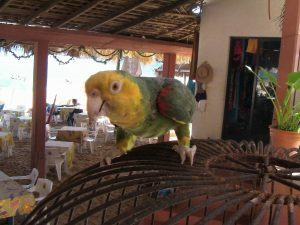 A 5-10 minute walk from the Viewpoint condo is beach of Playa Principal, the closest beach to Viewpoint and the hub of all fishing activities in the area. The wharf is busiest in the mornings, where local fisherman bring in tuna, red snapper, sailfish, lobster and octopus. The beachfront is lined with chairs and umbrellas in front of restaurants serving this delicious fare, prepared just as you like it. Watch the boats come in while you enjoy a cold cerveza and fresh seafood…this is the Puerto Angel experience. The old concrete pier located at Playa Principal was built in the 1960’s for the purpose of shipping coffee and wood. However, the new land roads linking Salina Cruz to Oaxaca, placed this port city on the back burner and the pier now stands as a monument, a place for children to play and place for tourists and locals to take leisurely strolls in the sunshine. 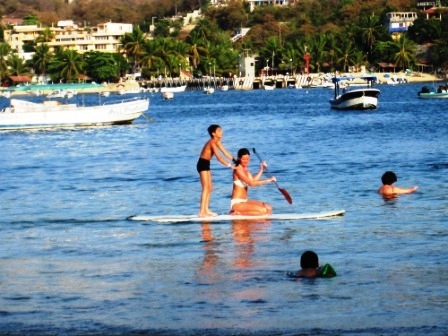 To get to Playa Principal, head into the town of Puerto Angel where you will find both the pier and the beach. Walk along the seawall from Playa Principal on the west side where you will arrive at Playa Panteon. This beautiful beach is surrounded by steep hills and is protected from the ocean currents of the Pacific. The calm aquamarine waters make Playa Panteon one of the most popular beaches along the Oaxaca coast and ideal for water activities with the family such as swimming, snorkeling, kayaking and paddleboarding. Small panga boats can also be rented here for a fun day of whale & dolphin watching, snorkel tours, fishing and beach tours. During these tours you will be amazed at the diversity of marine flora and fauna, including three of Mexico’s seven species of marine turtles, the hawksbill turtle, prieta turtle and olive ridley turtle. 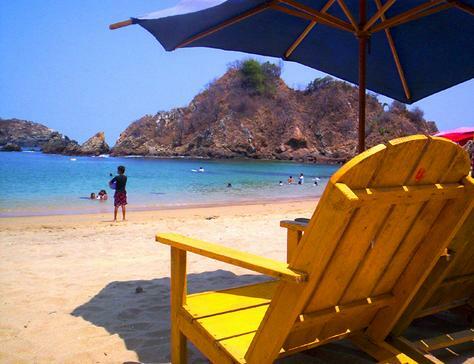 We regularly take daytrips to unwind and enjoy Playa Panteon’s relaxing atmosphere. One of our favorite things to do is set up in front of our favorite restaurant, Cordelia’s, and make a day of paddleboarding, swimming and a game of bocce ball on the beach. 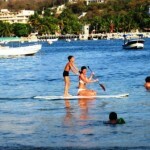 The picture to the right is of Erin taking a new & curious friend from Mexico City for a paddleboard ride! 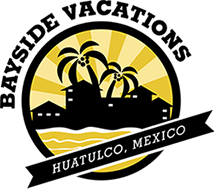 To get to Playa Panteon from the Viewpoint condo, simply follow the road through town passing the main beach, head back up the hill and be on the lookout for the Playa Panteon sign. Or you can enter by the seawall from Playa Principal.